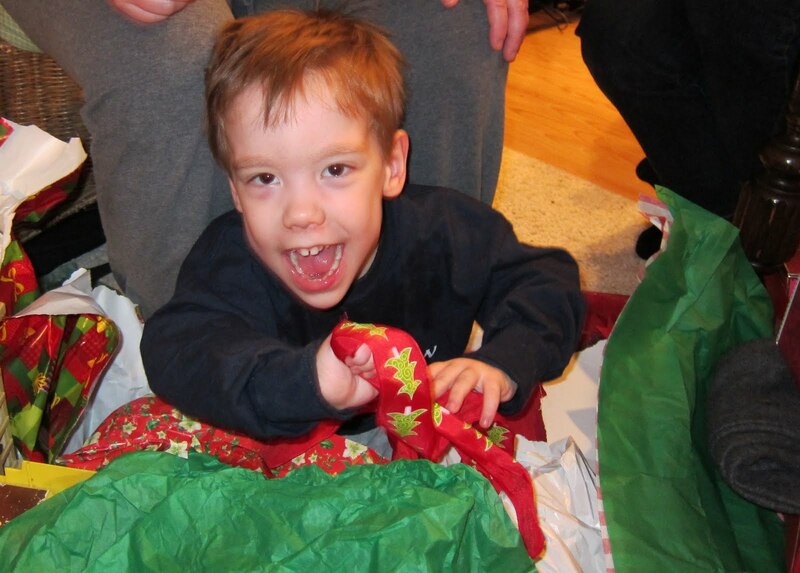 Cameron concluded his present opening of 2010 at the Jellema family Christmas party. Some of the Aunts, Uncles and cousins were in attendance. Santa Clau s made an appearance and all of the little kids received presents from Santa. 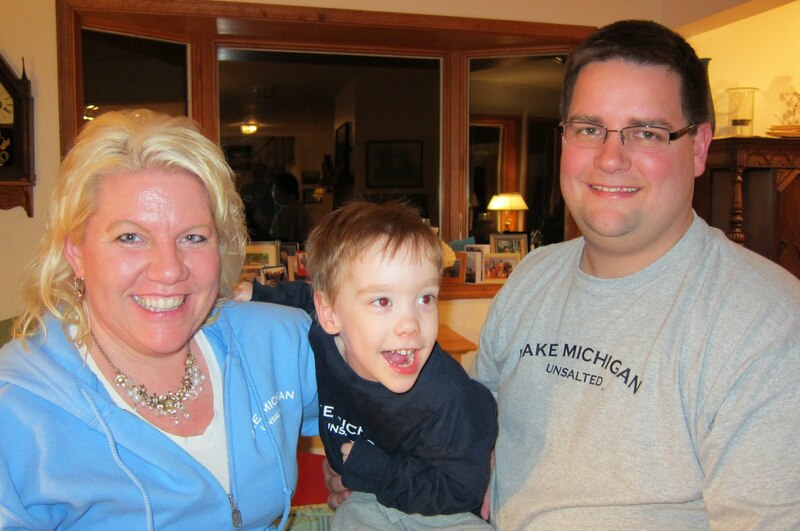 Cam, Chris, and Jane sported their new "Lake Michigan...Unsalted" shirts at the party. 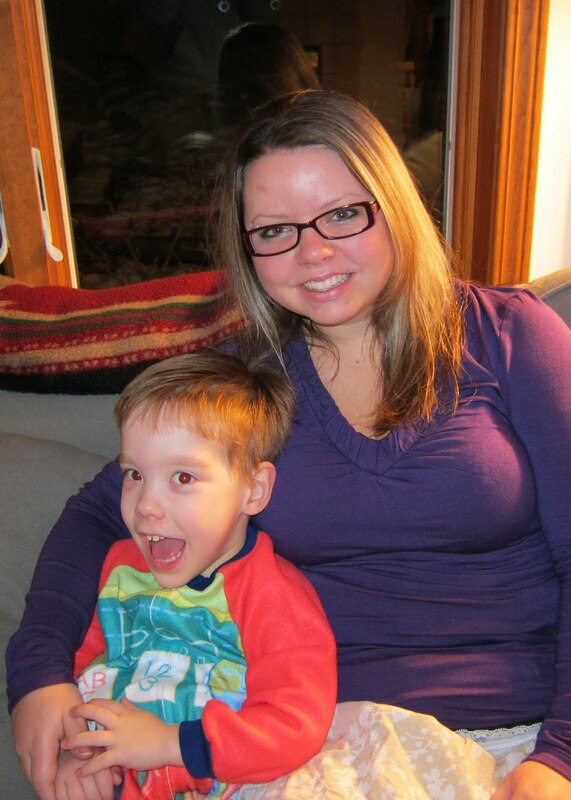 Cousin Steffanie played with Cam and admired his new Elmo pajamas. One of Camerons' favorite playmates is his neighbor, Emma. She likes to hang out with Cam is like a big sister to him. We’d like to thank a few that have been blog followers since 2007! Grandma patiently waits for the weekly Cam updates, and needs a copy of every pic to talk about her grandson who’s so great! And always sends a sweet email about Cam’s news and how it fills her with glee. Keeps a close eye on the boy and will be there to see him run. Read every week and see Cam persevere. And there are far too many others to name here, we’re acutely aware. It would be difficult to create every update and make it unique!! MANY THANKS TO YOU ALL:) Happy New Year!